I was anxiously awaiting the arrival of this CD, it took three weeks between the order and the time it arrived. Was it worth the wait? Yes, but I was still a little disappointed. It wasn't the CD that I was expecting. 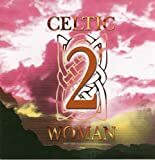 Celtic Women 1 was an amazing CD. This was still good, but not great. Still, the CD features some return visitors from the first and a few great songs amongst them. Aine Furey makes a triumphant return with the song Vanities child, which highlights her haunting voice. I anxiously await the release of her band, Bohinta's new CD. If you don't have the first one, buy it first. Followed by the Faire Celts CD which is another tremendous display of the female Celtic voice. There were few music genius composers in my list like James Horner (composer of Titanic, A Beautiful Mind, Bicentennial Man, The Mask Of Zoro, Braveheart etc.) & Hans Zimmer (composer of the soundtracks of The Last Samurai, Gladiator, Pirates of the Caribbean, etc.) When I saw the first scene of the movie (Lord of the Rings - The Fellowship of the Rings), I decided to add the music composer to my list! I'm a big fan of orchestral music and vocals. 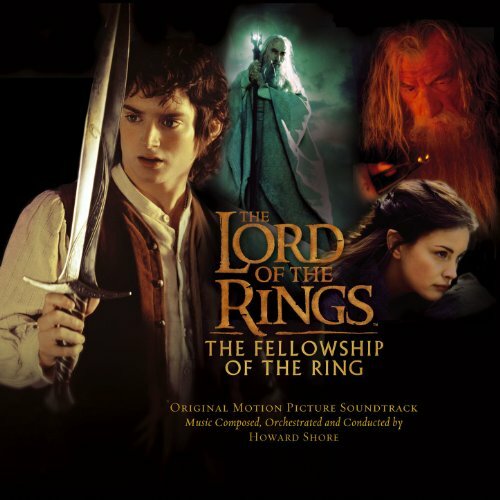 This music makes you feel the moments of the journey to Middle Earth that the fellowship of the rings had to go through, starting from the soft music in the Shire, to the emotional moments between Aragorn & Arwen, and to the dreadful sensation that evil was so close to achieving its goal. ALL of the music are worth listening to, esp. the ones with the vocals e.g. The Prophecy, The Treason Of Isengard, A Knife In The Dark, Flight To The Ford, The Council Of Elrond, The Bridge Of Khazad Dum, Lothlorien, The Great River. I also loved the (Breaking of the Fellowship), which reflects the will to pursue & true friendship . I could listen to the soundtrack many times during the day, and still the amuzement does not fade away! The addition of of the song (May it be) performed by Enya was a great touch! The song reflected the main theme of the first part of the Lord of the Rings. I started to listen to Enya after that song. I noticed that some music were not incorporated in the Extended DVD version like the music of the (Great River), but it was part of the ordinary DVD movie. Great Work Mr. Shore. ur work speaks for itself! This is a must-have-on-your-shelf soundtrack CD in addition to the original movie. 5/5. First of all. I was SO enthralled with the movie and how the music seemed to fit every mood. The way Howard Shore was able to capture the essence of each scene was truly beautiful. And as much as I enjoy listening to this CD (I've had it a week and so far I have completely listen to it about half a dozen times) it has the same issue as almost every soundtrack. The music is based around 3 - 4 main themes, and depending on the screen action, it's mostly only the tempo that changes. This of course doesn't change the beauty of the music, just explains why the music begins to grow old quickly. One thing I liked about Shores music here is how he chose certain styles for different characters. For instance, the Hobbits are represented by an almost Irish folk style. Beautiful yet solitary in sound and mood. Also the two songs included here by Enya match well. Her voice adds vocal expression to a wonderful melody. I would recommend this to anyone who enjoys beautiful orchestral music. Although I probably will stop listening to this for awhile I will most definitely keep revisiting it. 2. Concerning Hobbits - the music theme for the sequences set in the Hobbit-inhabited land of the Shire. 3. The Shadow of the Past - the music score that blends in with the part where the nature of the Ring is discovered. 4. The Treason of Isengard - One of the best scores of the soundtrack. It is the theme for the sequence in which Saruman becomes a traitor and battles with Gandalf. 5. The Black Rider Another great musical score. This theme is for the journey of the four Hobbit companions through the Shire and for the encountering of the Black Rider. 6. At the Sign of the Prancing Pony - Frodo Baggins adventures in the town of Bree at the Inn of the Prancing Pony is what this score is for. 7. A Knife in the Dark - The theme for the continuing journey of the hobbits in which sequence they arrive at the ruins of a temple and find themselves battling Ringwraiths. 8. Flight to the Ford - The Theme for the flight of Arwen and Frodo to Rivendell to escape the Black Riders. 9. Many Meetings - The theme for Rivendell, where the Elves abide. 10. The Council of Elrond - This is among the best scores in the album. The theme for the Council in Rivendell concerning the fate of the Ring. Also features Enya performing Aniron, the theme for Aragorn and Arwen. 11. The Ring Goes South - The theme for the sequence in which the Fellowship of the Ring sets out on their journey to Mordor. 13. The Bridge of Khazad Dum - The theme for the treacherous journey to the Bridge of Khazad Dum in Moria and the crossing over and escape from Moria. Another of the ones that are among the best scores on this album. 14. Lothlorien - The theme for Lothlorien, the woodlands of the Elves, through which the Fellowship of the Ring passes through in the film. 15. The Great River - The theme for the departure from Lothlorien. 16. Amon Hen - The theme for the encountering of the stone of Amon Hen. 17. The Breaking of the Fellowship - The score for the dispersion of the Fellowship of the Ring, in which only Frodo and Sam are left to continue the quest to destroy the Ring. 18. May it Be - The song performed by Enya. It is the score for the end credits of the film. If you loved the film, buy this soundtrack. It is well worth the purchase price. For more information there is a site called ... I eagerly anticipate the soundtrack for the next LOTR film. Alright, I have viewed the last 70 reviews, and except for a few "minor quibbles" over "missing tracks" and such, there were no actually anti-Shore reviews. This is quite possibly one of the most over-rated and derogatory musical scores of all time. It is obvious that those who gave positive feedback to this have NEVER listened to true choral music or real classical. To be perfectly honest, all "sung" tracks are completely ripped off of Carmina Burana (of which I am sure all you "Shore lovers" have never heard of). He has taken the very best of wonderful 19th and 20th Century composers, and remixed them with absolutley disastorous results. In fact, not only is this album an abomination, but the way it fits with the film is even worse. The reacurring themes grow irratating at times sounding like a comic book movie, and at others, sounding like expensive versions of music from Saturday morning cartoons. But I can't blame Peter Jackson-- he's tone def!! This is great music to those who know nothing about it-- and to those who say "well it won 2 Acadamy Awards for best score", I tell them this "Titanic won 11". So just shut up about this being a "visionary score." In about ten years it will blow over. However, PJ's masterpiece will remain in history forever (hopefully with a different score). In this world, there exists a handful of human creations so epic, finding words for such things almost seems a way of devaluing the work. Unfortunately, as this soundtrack is one of them, we have but no choice other than cave in and write. If we do not, it would essentially be as if such grand feats were never accomplished in the first place. To keep the review to a moderate and digestable length, there will be no specific documentary of each period instrument, harmonic change, melodic theme, and relation of how the audio translates to supportive information for the visual cinematic cues. Just know that 1) there has been a supremely creative effort to have very specific instruments enhance the mood and storyline, 2) a new and surprisingly fresh (though ironically reminiscent of a time long ago) chord change awaits the turn of every corner, 3) the carefully constructed (while non-academic) themes seem to come alive in a character every time while on screen, and 4) the music for each respective scene is so powerful in the film, it convinces the audience - if subconsciously - that there is indeed no other choice of sounds other than the precise ones that have been chosen and printed to film and cd forever. Don't get me wrong, there are also items # 5-infinity which we'll omit for interest of time. Ladies and Gentlemen, Howard Shore is a living legend and genius to the fields of both musical composition and speaking to the soul. With all of the aforementioned elements, he has done what perhaps Professor Tolkien himself would bow down to: he has taken the ridiculously detailed blueprints for a whole different world, and created the same world all over again, in the form of auditory stimulation. The laborous contriving of entire ficticious languages are masterfully superimposed as thunderous choirs, on top of what sounds like a 10,000 piece orchestral behemoth soundscape. From the characteristic playful music of the Hobbits to the hellishly heavy thunder of Mordor itself, this soundtrack will take you through an emotional journey of its own when you have nothing to watch along with the music. The way the themes cross moods and reappear reincarnated at later locations, in different forms, proves an intuitive influence at work in Shore's mind- much from Bach and Beethoven themselves, but not just in the traditional sense. Much successful experimenting with all musical elements make the resultant cd unpredictable and largely enjoyable all at once. Although anyone can appreciate this soundtrack, I do maintain that a firm knowledge of the literary masterpiece "The Lord of the Rings Trilogy" will augment the listening experience beyond belief. To love the story, as I do, blows it through the stratosphere. A word should be put in for Enya as well. Whereas many soundtracks are comprised of an agitatingly asymmetric combination of composed music and [category: other], "Fellowship..." just can't seem to do any wrong. Indeed, when watching the movie, her passionately moving "May It Be" feels right at home with everything else. It was smart to include a derivation of one of the score's main themes as Enya's own melodic inspiration. Her music, too (represented by two pieces here), is masterfully executed and produced. Whoever included her made a wise call as talent/booking director. 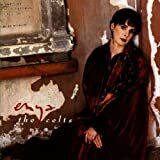 I've been a great fan of Enya for the past few years and it was only recently that I came across this album of hers produced in 1991 (shame on me!). As always, she's a great musician and vocalist and captures wonderfully a night under Shepard Moons. However, you kinda get bored of the whole CD after a while - not all of them really capture your attention, like tunes from her later albums and '88 tour de force "Watermark". Still, most of the songs are truly magnificant. If you get this CD, listen out for "Ebudae", "Marble Halls", "Carribean Blue", "Afer Ventus" and, especially, "Smaointe". It took her great effort to write this 6-minute song of hers (it's her longest song yet! ), and great skill, for its ambience surprisingly carries you through the song rather well! Yup, definitely worth looking out for nonetheless - if you're an avid Enya fan, buy this CD still. But if you've never heard her music, this wouldn't give you a very good initial impression of her; try her other records like "Watermark", "The Celts (a must-hear)" or "The Memory of Trees". Once you think you're prepared for the power of her true music, GRAB, BEG OR STEAL "Paint the Sky with Stars"! Enjoy! When I first heard her first single "Orinocho Flow", I wasn't crazy about the song, and am still not. But over a decade later I borrowed several Enya CD's from a friend and was blown away. The most emotional and beautiful track on this CD is "Evacuee". Though not every track is equal to the next, many of her songs are incredible, on this CD and her others...they touch your soul like no other songs can. If Heaven has music, then this would be it. Shepherd Moons is unlike any other Enya CD. It plays songs to make you feel as if you are in another world. This easy listening CD includes 12 amazingly done songs. Only four of them are instrumental; Shepherd Moon, No Holly for Miss Quin, Lorthlorien, and Afer Ventus. The other 8 include the voice of Enya with lyrics. Instruments used are like no other. I find myself either just enjoying the instrumental pieces, or singing along. This CD also includes the song included in the credits of the movie, "Far and Away" with Tom Cruise and Nicole Kidman. This song is called, Book of Days is track number 7. Overall, this is a must buy! If you're looking for music to sing along to, easy listening, or some New Age music this one should definitely be considered. If you are an Enya fan and prefer her instrumental music instead of lyrical music, The Celts by Enya is the one to go with. But if you are looking for the majority of the music to be lyrical with that fantasy feel, look no further! This song is an example of her starry and earthy themes to her music, particularly to this CD. It is melodic and poetic. Another addition to this CD is the song, "How Can I Keep from Singing" track number 3. This is an old Quaker Hymn, sometimes song even in church, but Enya sings it with her own unique style. I think the song in itself is appropriate for this CD. Enya at her esoteric best! THE MEMORY OF TREES, combines esoteric grandeur, various historical Gaelic elements, enigmatic phrases, with lyrics that brace the line between comprehension and obscurity in a most effective way. This was my first Enya album ever, and I'm really glad I started my collection with it. Out of all of Enya's many albums, it sets a mood the best. Starting with the breathtaking 4:19 title track instrumental, Enya begins to create a mood of happiness tempered by reflection, so effectively with vocals that are both haunting and joyous along with magnificent instrumentation. This song then moves to the fast-paced "Anywhere Is" (one of two singles off the cd). "Anywhere Is," may be the most heavily lyrical based Enya single, but she quickly goes through them all, painting a feeling of a journey, of choices made, following a course, and misdirection. Part of what makes this song so successful is the abundant rhyming; Enya's lively, vital voice; and its rhythm. "Pax Deorum," five minutes of amazing Latin, certainly sets a mood, with a darker tone. It's a powerful song, with apparent voice layering, amazing instrumentation, and a very good beat. The passion of "Pax Deorum" segues into the elegance and beauty of the Gaelic "Athair ar Neamh" (meaning "Father in Heaven"). This song is truly beautiful, with Enya lightly moving through the gorgeous Gaelic stanzas. "China Roses," which clocks in at 4:47, is a majestic masterpiece, painting a scene with ethereal elements, and has a Utopian feeling about it. The synthesizer on this piece is quite remarkable, fitting the tone of "China Roses" perfectly. "Hope Has a Place," is romantic, true to life, and, judging from the way Enya sings it, very introspective. It features some of the grander elements of songs like "Angeles" and "Caribbean Blue" from Shepherd Moons, incorporating sweeping, drawn out stanzas and peaceful, heartfelt lyrics. "Tea-House Moon," is playful, with an almost circus like feeling. "Once You Had Gold," is a serene, elegant and genteel. Many sections of the song are done in the way you'd expect a lullaby to be done; yet it has more practical application than a lullaby, with very truthful lyrics that touch the soul. "La Soñadora" is as majestic as it is an auditory delight, especially with the edition of the Spanish lyrics. The darker feeling in the beginning segues brilliantly into the chorus of voices in the middle section of the song and then concludes with the same feeling of the beginning. "On My Way Home" (the second single off THE MEMORY OF TREES), is an upbeat, happy, and retrospective song that signals the end of the remarkable journey that is THE MEMORY OF TREES. It's a fitting conclusion to "Anywhere Is" and the entire cd. THE MEMORY OF TREES encompasses various themes, various languages, and incorporates stunning instrumentals throughout. Enya has frequently said she tells a lot about herself through her music, and I think that's particularly apparent in THE MEMORY OF TREES, which, by the end of its 44 minutes, truly moves you. If it's the first piece in your Enya collection or last, it certainly does not disappoint. Let's drop all our differences and sit down and take a listen of Enya's THE MEMORY OF TREES. It's a brilliant album and how can you not like it with such a fabulous title track. Enya is already creating magic without using words. "Anywhere Is", the second track and also the first single from the album is probably the most worded song from Enya in a long time and it's simply stunning. I think nobody can be as inventive and speak in such a perspective through their songs. Whenever I recommend this CD to my friends, they all laugh at me and think that I am being a complete idiot. Despite constant criticism, I have not liked Enya any less and strongly believe that I don't need to see a doctor. My friends describe it as "Mental institution music for those who cannot afford to see a psychiatrist to help them improve upon their mental illness". Never the less, I suppose that's what you get when your friends are 17 year old males (So am I). 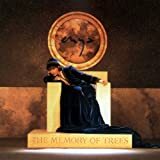 So, I strongly recommend you get yourself a copy of THE MEMORY OF TREES and the stand out tracks are "The Memory Of Trees", "Anywhere Is", "China Roses", "Tea House Moon" and "On My Way Home". Totally brilliant CD. Well worth your while and best of all, you won't regret it! Music from Heaven; her songs touch your soul like none can. Dreamy unearthly magic continues with Eire's one and only! Who knows why I initially considered this to be a duff album by the woman with the most beautiful voice in the world. Maybe I was expecting Shepherd's Moon Part II and saw Memory Of Trees as Shepherd's Eclipse. The songs didn't leap out to me? Well, listening to it for this review, it finally did, and I've embraced it like I have her other albums. The four years inbetween albums was worth it. Of the opening instrumental title tracks, "The Memory Of Trees" is the most potent, sporting the usual instrumentals, pianos, haunting wall-of-sound choir-like vocals, pounding drums recalling "The Longships" from Watermark. The brisk "Anywhere Is", whose dominant tempo reminds me of a horse having a gentle canter down a park, is backed by strings and backing vocals. There's an interesting motif in the first line of her reaching a horizon but finding another, where something that looks like an end is actually a new beginning. Bit like life, isn't it? "Pax Deorum" is a Latin track begins with a cold dark wind, which sets the grim bass pulsing keyboard permeating throughout the song, as well as an ominous sound that sounds a bit like a foghorn, though not as loud or brash. This part sounds a bit like an incantation. Her voice alternates between a soft but lower register and her full vocals. The piano (and later some other instrument) ballad "Athair Ar Neamh" is a sad but beautiful sung tune, full of yearning. Makes me want to learn Gaelic. My favourite song here, and Enya sounds her best singing like this. 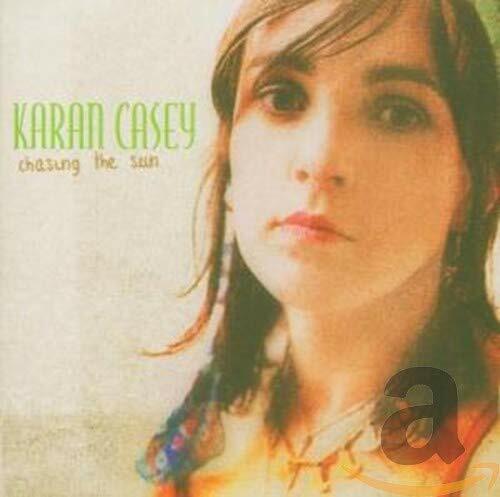 The wistful, reflective piano only instrumental "From Where I Am" is a variation of "Miss Clare Remembers" from Watermark, with some shades of "Epona" from the Enya album. "China Roses" is one of her visual and visionary poetic songs and it's an enchanting delight to hear. I see melodic strains of what would later become "Only Time." That wall of sound really enhances her vocals, and the following lyrics really create the image of a dreamland: "A new moon leads me to/woods of dreams and I follow/a new world waits for me/my dream, my way" and "Rain and river, a world of wonder/may be paradise to me". Gosh, how I love this woman! OK, all you romantics. "Hope Has A Place" is the song for you. 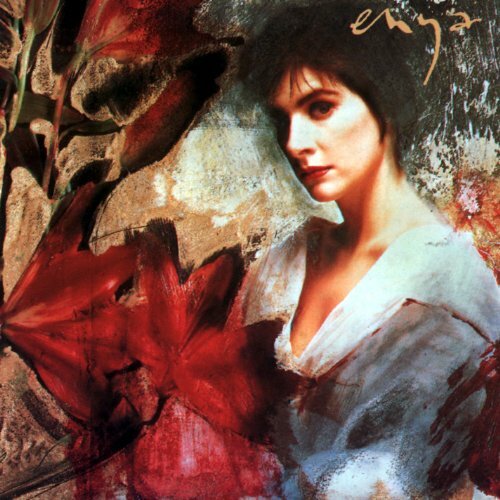 Enya's vocal echoes hauntingly here and that dreamy wall of sound is in full bloom. And how's this for some sagely advice: "Look to love/you may dream/and if it should leave/then give it wings/But if such a love is meant to be/Hope is home, and the heart is free." I can't decide whether I like this better than "Athair Ar Neamh." The third instrumental, "Tea-House Moon", has some Oriental strains, with some otherworldly synths and conjures the image of one looking up at the stars. As for the title, a nod to Teahouse Of The August Moon, set in post-WW2 Japan and starring Machiko Kyo? "Once You Had Gold" is a proverbial seasons come, seasons go type, and has a mystical sense of why things go wrong: "No-one can promise a dream for you/Time gave both darkness and dreams to you." and "What is the dark, shadows around you/why not take heart in the new day?" "La Sonadora" is her first Spanish song and it's more an interlude. The backing wall of music rise to a crescendo in the song's midsection. A reminiscing night traveller's thoughts comprise "On My Way Home", where "I remember all the best days/I'm on my way home/I can remember every new day" is surrounded by the dreamy wall of sound. Not having heard Altan before, I took a chance on LOCAL GROUND, convinced by those who said this was one of theirbest, and I'm certainly glad I did -- the format is songs with lovely vocals by Maread Ni Mhaonaigh, who also plays fantastic fiddle, alternating with instrumentals, lively toe-tapping jigs and medleys of reels.I listen to all sorts of music, I'm not immersed in this style, and so I lack the knowledge to compare this album to other traditional Irish music.I do know Altan has the reputation of being the finest of its kind in the world, and based on LOCAL GROUND I can see why.Absolutely timeless, this is music that humans might have made from the beginning of time and might be making until the end of time, with joy, sorrow, love, regret, nostalgia, longing, and sheer celebration of being alive another day! 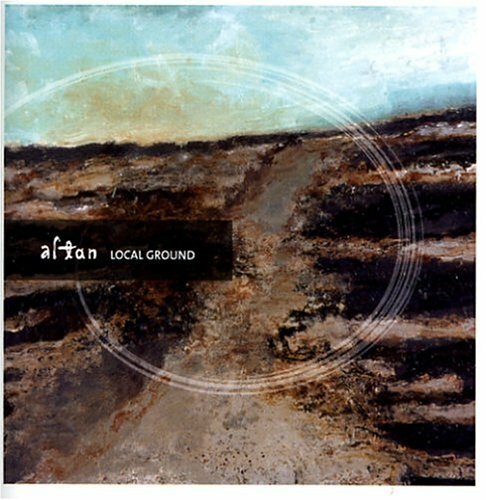 Nobody does Irish-traditional better than Altan, though they seemed to have lost some of their edge and authenticity since leaving the marvelous Green Linnet label.All that has changed with the release of this CD, perhaps their best since "Harvest Storm". The joy has returned to their jigs and reels (and nowhere in the genre can you hear tighter ensemble playing), and they will indeed make you dance around the house.They've gone back to some numbers from earlier in their career, like "Tommy Peoples", but they've also brought some "new" ones with unusual time changes.In contrast, their ballads and songs have a deeper ache, thanks to the fragile soprano of fiddler Mairead Ni Mhaonaigh, who seems to get better with each album.It's interesting to reflect on the history of some of the songs here.For instance, the band learned "Adieu, My Lovely Nancy" from an American friend, who learned it from a woman from the Ozarks, who in turn learned it from her Irish-immigrant grandfather. So the song seems to have come full circle. 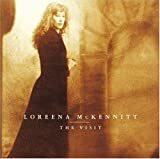 "The Wind and the Rain" is a revelation too:it's a story of a young woman's murder of her sister, and her sister's unusual vengeance.It's been told in several versions, including "The Bonny Swans", popularized not long ago by Loreena McKennitt.And Bob Dylan "borrowed" elements of the lyrics and melody for an early work of his, "Percy's Song".But history aside, there's no question this band is heir apparent to the Chieftains, as they expertly carry Irish Celtic music into the next generation.They found the spark again, and Frankie Kennedy must be smiling down on them. Well, anyone fanatical enough to be interested in making fine distinctions between Altan's albums surely realizes Harvest Storm and Island Angel were miraculous.It brings to mind -- to my mind, anyway -- Yavanna's lament (she who created the Two Trees of Valinor): "Even for those who are mightiest under Iluvatar there is some work that they may accomplish once, and once only. "It doesn't seem right to judge this album less than five stars just because those others were off the end of the scale. Local Ground is similar to their earlier albums, in contrast to certain of the more recent ones, which were throwing out signs of drifting into popground, at least in matter of the song selection (which is my chief interest).One of those (which shall remain nameless) was drifting pretty far, and for some reason had a concentration of English songs (some of them being a bit slow and somewhat unmelodic) that obscured the whole Gaelic aura of the thing.Although I might not have noticed this had I not listened to it every day for three years (I told you I was a fanatic). I'm not sure I agree with the official reviewlet, above, claiming Mairead has a girlish soprano -- whatever that is.This comes across like an offhand and harmless remark by someone who doesn't know any better.A beautiful voice is more like it.I tell you what, sit in the third row sometime; it might happen that she'll sing "Uncle Rat. "There is nothing girlish about it.What might be more to the point is that she is a native speaker of Donegal Gaelic, and so she renders the songs therefore with precision and authority (also the English ones).Most languages sound better sung (especially by a woman or a female chorus) than they do spoken, but there is a peculiar indescribable magic to the Gaelic songs, deriving largely, as it seems to me, from the language itself. Altan is sitting on a treasure: Irish music in general but in particularly song.Liam O'Conor and the late Derek Bell, in their book Traditional Songs of the North of Ireland, put it like this: "The Gaelic Songs are incomparable. "Typical laconic Irish understatement.But there is not much to be added to that observation other than to say it is most certainly true.And here, in Local Ground, we find more treasure brought out into the open.The track most interesting (and which is not a song) is perhaps "Sport," composed by Peadar O'Riada, of Cuil Aodha (Cork gaeltacht, I believe).The modern musicians can still turn out a tune, if that is an issue here.Perhaps it caught my eye because I've been to Cuil Aodha.I heard Cliar deliver "Si do Mhaimeo I. "There were three of them singing, and it was overpowering.Though there is nothing so massive on this album, yet overall it is energetic, lyrical, and memorable.It is reminiscent of Blackwater; it might be considered a little brother to Blackwater.And it includes an alternate version of one of the songs earlier appearing there (I love alternate versions, both the idea and the execution).Of course there is fiddling, too: the fiddles "sing," so to speak.They always do.Nor is that all; Altan has a very rich sound, as they are all virtuosos who play extremely well together.A lullaby concludes the album, one that is beautiful, beautiful, done with a mother soprano, with an echo of the Otherworld. A Rejuvenated Altan:lively jigs,reels and gorgeous vocals! They're back!The lovely Queen Mairead of Irish traditional music is back! She is truly one of the larger than life personalities for her beautific voice, easy smile and laughter, and her whole sense of musical enjoyment.This is a new album, new material and renewed energy. Altan has been with us since the 80's and have been easy to take for granted as Irish traditional music history after a "best of album," a "finest" album and a gap of time. Just when we are ready to bid a fond farewell, they are rejuvenated and back with the inspiration of yesteryear. Mairead's beautiful voice, and spirited fiddle playing, teaming up with her husband, Dermot Byrne playing button accordian, are a grand picture of marital and musical harmony.Ciaran Tourish is back with very spirited lead fiddle.Then there is the solid foundation of Altan music, the excellent bouzouki (deep voiced, large mandolin) playing of Ciaran Curran. He has been one of the real pioneers of this instrument. He teams up with the excellent veteran guitar player, Daithe Sproule.If all lead instruments were muted, this two person team accounting for more than a 60 years of experience between the two of them would be astounding. Jim Higgins is back again on bodhran and provides an extra snap to the faster pieces to get your toes tapping.Taken as a whole, this album repeats a previous Altan formula of playing lively, music and then changing the pace with gorgeous vocals from Mairead. This is a must have for any Irish Traditional Music collection. Absolutely understand that it is not in Altan to turn out a bad record, even if they came perilously close to becoming the baby-boomer Chieftains (venerable, but hardly exciting), what with the tour with the faux-Mairead (to paraphrase Joan Cusack, 'sure you're blond and can play the fiddle, but that doesn't make you Mairead.') and the parade of guests on recent CDs. 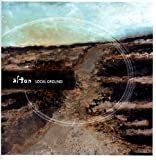 But it seems rather convincingly that what drove Altan all through the Green Linnet years has resurfaced, resulting in what is the best CD since ISLAND ANGEL. There is a root sensibility to this that always infused the early records but was becoming lost in the move to a big label. What had been authentic was teetering on cliche in the Virgin-Narada releases of the past years. None of that is the case here. Instead, Mairead seems more in charge of the proceedings than ever and Dermot Byrne has found an urgency to go with his fleet command of the button accordion, kinda like a Belfast flautist I remember from some years back. It was never just the technique, but the fire within. Dermot's playing is quantitatively and qualitatively different and that pushes this band in ways it hasn't been pushed since the 90's. At the risk of committing heresy, the attack on the second set of reels, leading off with "Tommy People's" ( a reel covered on the Ceol Aduaidh CD) packs a dynamic that actually transcends the earlier take from Frankie, Mairead and the inimitable Ciarn Curran. And while we're on the subject of Curran, I haven't heard him this fired up outside of a live set ever, and it is a joy, in fact one of the reel seminal joys of Irish music to hear Ciaran Curran lit up and playing like his life depended on it. The most unsung hero of the Irish bouzouki ever asserts himself, balls forward, and Altan is the better for it. There is a terrific take on all the songs. "Adieu, Sweet Lovely Nancy," otherwise a chestnut, verging on party-piece, is given just enough of a countertempo to put a little something in the trunk. That is true throughout the disc, courtesy of unofficial seventh member, percussionist Jimmy Higgins. Steve Cooney drops in for a bit of even heavier bass, though not quite as slap driven as Manus Lunny in Capercaillie. Carlos Nunez appears twice with his earthy gaita playing, and it all serves less to highlight what neat friends they have, and more to underscore what great musicians can do when they surrender to the confidence of Music. Any complaints? Quibbles only: the reverb is a little too Clannad on "Amhran Pheadar Bhreathnaigh". And why on earth is it necessary to put an FBI warning on a nice bit of graphics. I suspect mairead gave some thought to the artwork selected. Is it really necessary to put a legal threat overlaid upon it? The only other element I continue to ponder is the under-utilization of the voice of Daithi Sproule. In addition to being one of the exceptional guitarists in any discipline, Daithi's Derry accent brings a bittersweetness that is the absolutely perfect compliment to Mairead's unique pipes. In Concert, the man who is essentially at this point the George Harrison of Irish music, gets his couple of tunes, and his backing harmonies give a dimension to the songs they so desperately need. Yet, on CD, you'd have a good night's fun picking out his contribution. Don't quite get that. Lennon and McCartney never quite got it either. There's likely a Derry seige on ALL THINGS MUST PASS somewhere in the pipeline. Let's hope it arrives in the context of his work with Altan. This CD is POWERFUL and OUTRGAGEOUSLY EXCELLENT!! Although this was her first album, I thought this CD was enigmatic and mystical. 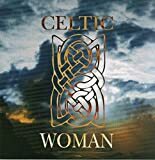 The songs tells about how great the Celtic people are, and tells mythological stories about heroes and heroines of ancient Celtic mythology. I also enjoy how the CD goes back into the times of ancient Ireland, and I can create a mental picture in my head about what or whom the song tells about. 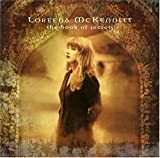 I enjoy the songs "Aldebaran", "The March of the Celts", "Deireadth an Tuath", "The Sun in the Stream", "To Go Beyond [I]", "Fairytale", "Epona", "Triad: St. Patrick/Cu Chulainn/Oisin", "Portrait (Out of the Blue)", "Boadicea" (This song was used as the ending song on Stephen King's "Sleepwalkers". If you rent the movie, don't rewind the tape. Just listen to the song when the credits are rolling. You'll be able to recognize it. ), "Bard Dance", "Dan Y Dwr", and "To Go Beyond [II]". This is the first time that I realized why I like Enya, because its the tones of each song contains, and the other reason is why I like her SO much is the haunting, engmatic vocal ranges of her voice. I listen to this CD while I am reading, and while I am writing my own verses and rhymes of poems that I write. 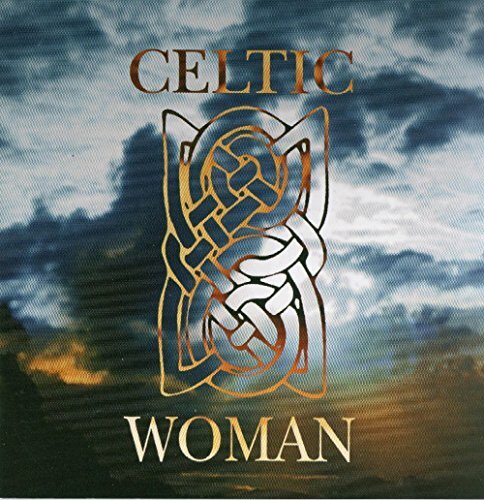 Originally recorded as a soundtrack to a BBC production of the same name, "The Celts" has stood the test of time and is still viable as a seperate entity. Beautiful music can always do that. Rich, layered harmonies intertwine with majestic synthesized passages, ethereal solo vocals, symphonic strings, simplistic pianos and driving percussion. Songs like "The Celts" bring to mind a proud race of people marching across the land, while others like "Aldebaran" sound as if angels have descended from heaven just to sing for us. "I Want Tomorrow is more akin to Enya's later works, such as "Orinoco Flow" and "Anywhere Is". It even incorporates a lead guitar into the mix. Songs like "Fairytale" and "Epona" lead you to the fairylands of our childhood (that are still there!). "Bard Dance" recalls a melancholy dance while "Boadicea" is a very dark, omnious song named after a fiersome and proud Celtic queen. A fabulous recording this is, originally recorded in 1986 and reissued in 1993. Highly recommended for all. It'll make a fan out of you! 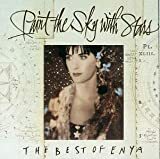 This is the first Enya CD I ever bought. It sold me and I have been a big fan ever since. Every song is a winner. Heard of the Mozart Effect? Try the egimatic Enya Effect! Supposedly, listening to Mozart's music helps you concentrate, retain information and give you a calm, balanced state of mind. When I'm writing, Enya the Celts playing in union with the rain outside brings out my absolute best. Creativity, mystery and beauty, evoke into you all that the music is itself. 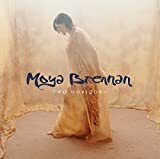 Well, I spent a lot of my college years listening to Irish band Clannad so I was pleasantly surprised to see that lead singer Moya Brennan had released her own CD. I'm happy to report it is absolutely gorgeous. If you're not familiar with Clannad's sound, think light airy vocals over rich, lush and beautifully arranged instrumentation. All with a Celtic twist. It's the soundtrack to really good dreams. The kind you don't want to wake up from. Brennan's voice is sweeping and haunting. The CD packaging is as beautiful as the music. The photography is stunning and the colors dream inducing. My only complaint is that it's really tough to understand the lyrics unless you try really hard. But that means you can enjoy this recording on different levels. You can just listen passively and let the sounds wash over you. Or listen carefully to every nuance and every word. I believe you'll be rewarded either way. This CD would be perfect for those candlelit nights in the tub, or having a really romantic dinner....it's very mood altering. 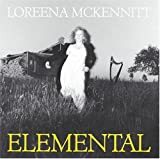 If you like Loreena McKennitt or Enya* you'll like Moya Brennan. 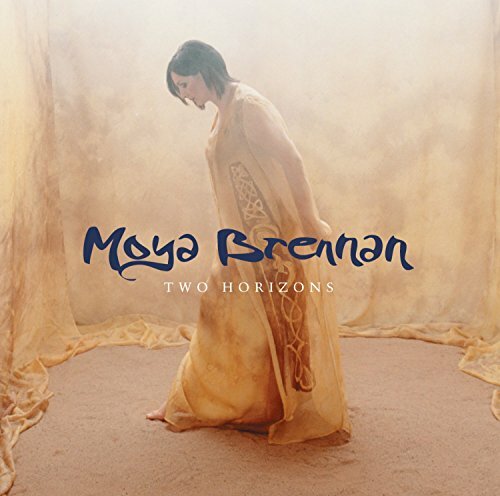 *I just found out that Enya is in fact, Moya (previously known as Maire) Brennan's sister! And that she (Enya) was also in Clannad. This ablum is awesome, If you love Clannad,Enya or Celtic music then this ablum is for you. My favorite song was Bi Loim, which is Irish for, be with me. She leaves you breathless once again. Ever since her first solo album, each and every one of Maire's works has always left the listener breathless. Each of her albums is a masterpiece and each one tops the others. With Two Horizans, Moya has exceeded her previous works once again. It's her best album yet! The whole album tells a story and each song triggers the imagination. 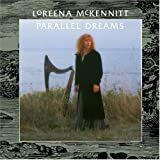 One thing that I loved about this album more than her others is that almost every song features her playing the harp, not just as a background instrument. Moya also has many great accompanying instruments, such as the uillean pipes, Maire Breatnach on the fiddle again, and Nigel Eaton's hurdy-gurdy(I'm sure that Loreena McKennitt fans have heard of him). It's hard for me to come up with a favorite, but I could say that right now the songs that I love the most are "Tara", "Ancient Town", "River", and "Mothers of the Desert". I love how she gives traditional melodies a very pop/jazz sound, which "Tara" is a very good example of. It's very fun to sing along with the words, especially since Moya wrote some very beautiful words for these songs. Some songs echo the sounds of Clannad, such as "Falling". I also like her songs are very sincere. Moya really speaks from the heart and expresses herself. I'm very touched by the story that each song tells. I love the imagery of "Ancient Town", the tears of "River", and the history in "Mothers of the Desert". I was disappointed that the CD cover didn't include the lyrics, so I recommend that when you buy this CD, aslo look up the lyrics somewhere on the internet. Even without the words, each song has a very great sound and is fun to dance to. I love to crank up the volume of this CD. If you get this CD, you will enjoy it. Moya can really make you smile and cry. It's a power that runs her family(as those of you who've heard Enya and Clannad should know). 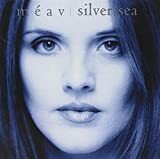 I purchased this CD not knowing anything about Meav or her music, and having only heard a couple 30 second samples. I am NOT disappointed in the least by this CD. Her voice is simply beautiful, and has such clarity. The melodies of her music are lovely and soothing, and I'll definitely be purchasing more from her in the future. I only really like this cd because of "Silver Dagger" its such a beautiful song, the others are pretty good, but i like sunny spells and scattered showers. edge of silence is good too. I would recommend this to someone. Such a good album, but not 5 star worthy. Although I knew of Solas from an article in Dirty Linen Magazine, I had never actually listened to them until I bought "Waiting for a Echo" just a week ago. I am amazed at this band's versatility and flexability, and at their sheer power. The Ploughman", and "Silver Dagger" grabbed me immediately upon hearing them. Much has been said in other reviews of Solas "selling out" and becoming just another pop band. Trust me, this band is not The Corrs and never will be. That's not to say I don't like The Corrs and their brand of pop music,it's only to say that Solas is not, and never will be, as pop as the Corrs. 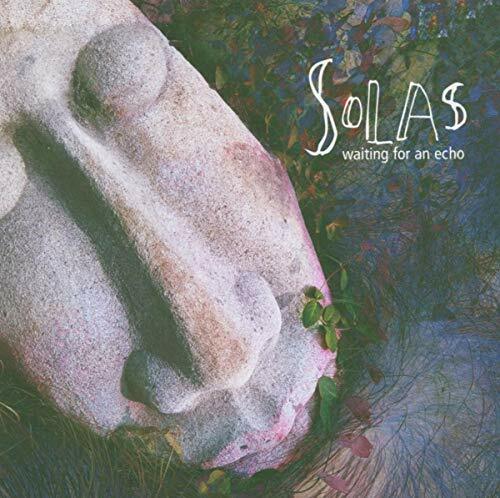 Solas is a wonderful band, and "Waiting for an Echo" is a wonderful album. The jigs and reels are exactly what we have come to expect from Solas.This is there best record since The Words That Remain.Given a few listens more, I might come back and say it is better thn anything they have done. Her best solo album yet! 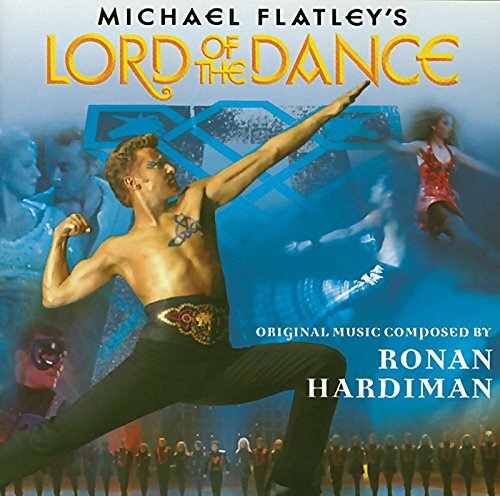 Well, I saw "Riverdance" this week and without comparing the dancing in the two shows (since I could never do any of it), I really like Ronan Hardiman's music for "Lord of the Dance" a lot better. From the opening track "Cry of the Celts" you get the feel of listening to an Irish band cooking in a pub someplace. Hardiman offers up a rich diversity of tunes, from the ephemeral "Celtic Dream" (that reminds me of the Nutcracker for some reason) to the pounding rhythms of "Warriors." I wish "Gypsy" were longer, because that is probably my favorite track. Hardiman himself provides the keyboard/programming for this wonderful mix of ancient sounds with modern technology. After all, who thinks of Irish music with a saxophone like you have on "Fiery Nights?" 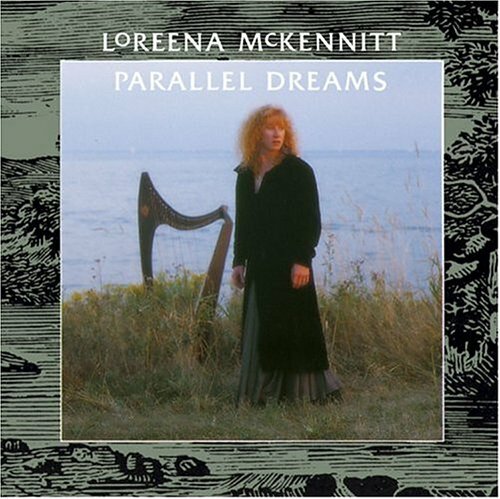 It is usually Uilleann Pipes and serious fiddle playing, both of which abound on this album. The two bonus tracks featuring the solo taps of Michael Flatley with the Lord of the Dance troupe are enough for the CD; you can always put on the video to hear more of the same, but I would think that after a while you can really just hear the tapping in your mind all the time anyway. Yes, you will enjoy this music more having seen the show, but I actually enjoyed listening to this CD for months before I bothered to check out the tape. This CD is a sensational piece of pure Irish music. It is full of great songs with a common style in all of them. It is , in fact, the soundtrack of one of the most impressive musical plays with dancing. There are deep, beautiful songs, uplifting ones, that offer you a rich diversity of tunes. It is usually Uilleann Pipes and serious fiddle playing, both of which abound on this album. The rhythm becomes progressively faster by playing the same melody more and more quickly. You may think that listening to the same melody repeated times is boring, but it's not. After listening to the 1st minute you'll blame yourself for having thought such a wrong thing before. Besides being a great actor, Michael Flatley is one of the best dancers in the contemporary scene. As a dancer, I envy his ability to show his true feelings while he is moving his body. If you have the chance, watch the video and you'll get the impression you're in the audience. This is a great cd for anyone who is an irish dancer. I am an irish dancer and the music id fabulas a would recomend this cd to anyone. it is also fabulas to listen to if you are not an irish dancer its brill!!!! Un poco pretencioso el título que se ha "auto-asignado" este hombre con eso de "El señor de la danza"... Espéctaculo bastante lamentable y que poco tiene que ver con la tradición. En cuanto a la música, creo que hay recopilaciones de música celta mucho mejores, incluso trabajos como Riverdance. Aunque sigo prefiriendo los discos de Planxty, Silly Wizard o los de los Cunningham, por poner unos pocos ejemplos. Ok, out of the three irish shows (Riverdance, Lord of the Dance, and Feet of Flames) This is my absolute favorite! The music is beautiful and uplifting! Warriors: one of my favs! Perfect in almost every way! Gypsy:one of the best songs on the CD, but yet suffers from the usual disease of these songs: too short! Spirit in the New World:why bother to take up space with this? It's not even worth a a mintue and a half! Siamsa:one of my favs! Perfect in every way! Victory:another poor intro, but a great song once you get into it! But yet, too short!